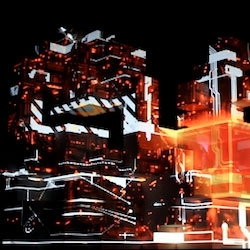 Trailer for Amon Tobin's all new, highly ambitious, breathtaking 'ISAM' live show. ISAM will be a large scale live audio/visual experience to six cities around the world (Montreal, Berlin, Brussels, Paris, Amsterdam and London). Designed by Amon Tobin in conjunction with Blasthaus, VSquared Labs, Vita Motus Design, Leviathan and others.